Some wish to own a piece of history on their wrists – the Paul Newman Daytona, perhaps – or get to lovingly care for it and occasionally drive it (the 1962 Aston Martin DB4/GT Zagato springs to mind). Yet for those lusting after a covetable dram, the ultimate status symbol is to acquire one’s own cask of whisky, thus joining a rarefied club. This is becoming a must-have for connoisseurs of the spirit. Yet getting hold of the right one is another matter, and requires dedication, contacts and, of course, cash (we are talking high six-figure sums for some of them). While it can offer a good return on investment – the equivalent with single bottles is often more expensive – it can also be a highly risky business. When it comes to getting one’s hands on some of the biggest names in whisky – from Ardberg to The Macallan, Talisker to Midleton – some distillers sell directly. Others sell through companies such as Rare whiskey 101 or Last Drop Distillers. Sometimes, working with the master distiller can make the experience itself more luxurious: imagine travelling to the distillery, choosing the liquids and experiencing Scotland – or Ireland – at its finest, with golf, Michelin-star dinners and five-star hotels thrown in. Tod Bradbury, head of rare and collectable whiskies at London's Justerini & Brooks, is your go-to man for Diageo’s awe-inspiring collection. Their Casks of Distinction service is available by appointment only with their private client teams. “We only offer a handful,” says Bradbury. “Fortunately the breadth of Diageo’s stocks allow us to cater to different flavour profiles and tastes.” Many seek rare casks from highly regarded distilleries such as Lagavulin, Talisker and Mortlach. Meanwhile, Pernod Ricard’s Midleton Very Rare in Ireland is offering a limited number of casks per year as part of its recently launched Cask Circle programme, prices for which range from 70,000 to just shy of a million Euros (that's currently around $110,000 to $1.6 million). 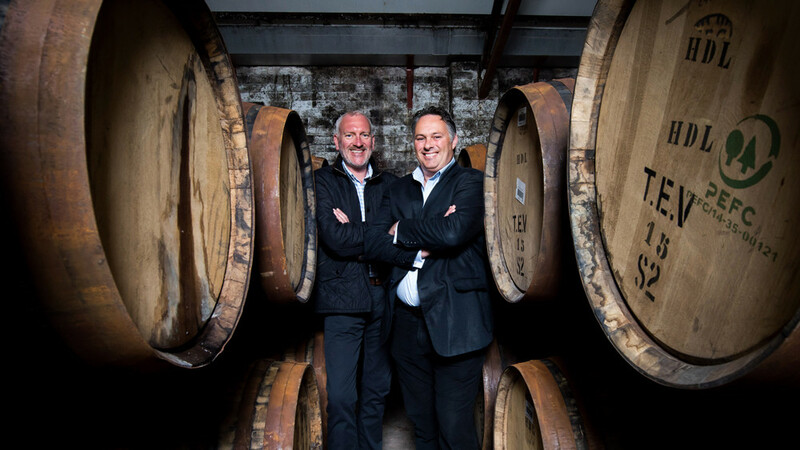 Clients can travel to Cork and work with Brian Nation, the master distiller, on choosing their perfect cask, from a 12-year-old, single-pot still Irish Whiskey finished in Bourbon barrels, to single grain finished in Irish oak hogsheads. Other companies are doing the legwork for the customer, such as The Last Drop Distillers, who refer to themselves as “rare spirits hunters”. They source casks of highly-regarded liquid from around the world and their offerings, unlike many others, are fully matured before they are sold to customers. In addition to the bottling, custom-designed labels and preservation of the cask, they will be treated to a bespoke VIP trip to Scotland – or wherever the cask originated. A more affordable option is going for first-fill casks, rather than liquid that has already been ageing. Arran’s current offerings include the opportunity to buy one of the first 700 casks to be filled at their new distillery in Lagg, on the south side of the Isle after which they’re named. Unlike their current output at Lochranza, the original Isle of Arran distillery, the Whisky produced at Lagg will all be of a peated variety and will cost from around $11,000. Yet even though whisky is on the rise as an investment (prices have gone up around 4.3 per cent since last January), buying casks can be a lottery. Casks can yield anything from 20 bottles to 700 (but more commonly a few hundred), and the thrill – or indeed downside – to buying a cask is that, at any time, the liquid can turn from ambrosial to undrinkable. It requires regular sampling, and knowing when to bottle it (some distilleries will do this for you; others leave you to sample it yourself and decide). Rare Whisky 101 is a highly bespoke whisky broker, servicing a small number of customers at any given time. Andy Simpson has sourced some of the most covetable casks from The Macallan, Lagavulin, Ardberg and Bowmore. With prices ranging from $26,000 to $920,000 for a cask, this is not for the casual imbiber. For, rather than sealed bottles, which are less susceptible to flux and change, things can go wrong in a cask. The glory of a cask - that no two will ever be the same - can also be their downfall. A stave can be porous and let air in or leak liquid out, so it depends on how well coopered the cask is; its being housed in a different part of a warehouse to another can create quite a different result to the same liquid in the same wood put down at the same time.